Free IP address tools allow you to ping an IP address, traceroute an IP address, convert IP address into decimal value or CIDR format, and so on for both IPv4 and IPv6 format. Converts a IPv4 address into decimal value for table lookup or vice-versa. Converts a IPv6 address into decimal value for table lookup or vice-versa. Convert CIDR format (e.g. 10.0.0.0/24) into IPv4 address ranges or vice-versa. Convert CIDR format (e.g. 2001:4860:4860::8888/32) into IP address ranges or vice-versa. Shows how long an IPv4 address took for packets to reach a host. Shows how long an IPv6 address took for packets to reach a host. Traces the route of an IPv4 address took to reach an host. Traces the route of an IPv6 address took to reach an host. 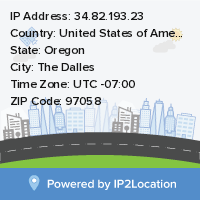 Please click on the menu for the complete IP address tools available.